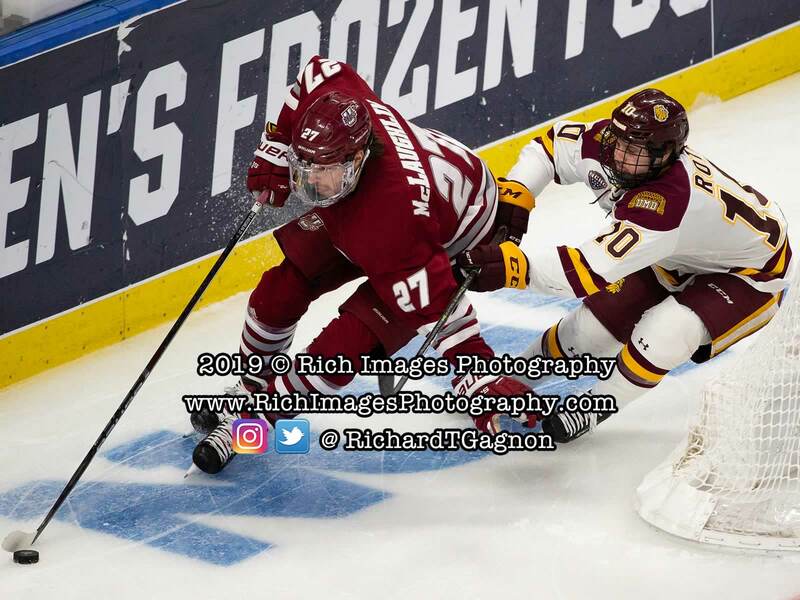 BUFFALO, N.Y. - University of Massachusetts hockey saw its historic season come to an end with a 3-0 loss to Minnesota Duluth in the NCAA National Championship game on Saturday night at KeyBank Center. 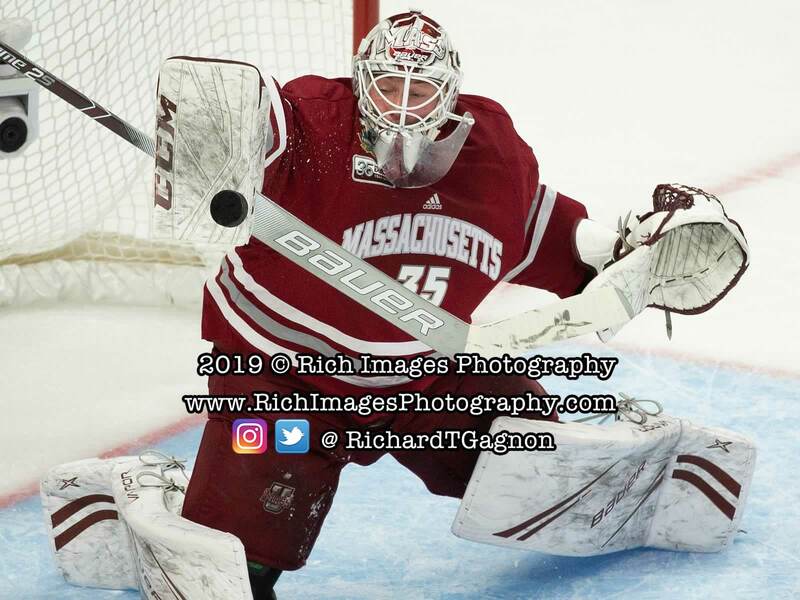 The Minutemen end their 2018-19 campaign as the national runner-up with a record of 31-10-0 overall, a 14-win improvement from 2017-18, breaking the previous record for largest one-year turnaround in program history set by last year's squad (12), and surpassing UMass' previous single season wins record by 10. 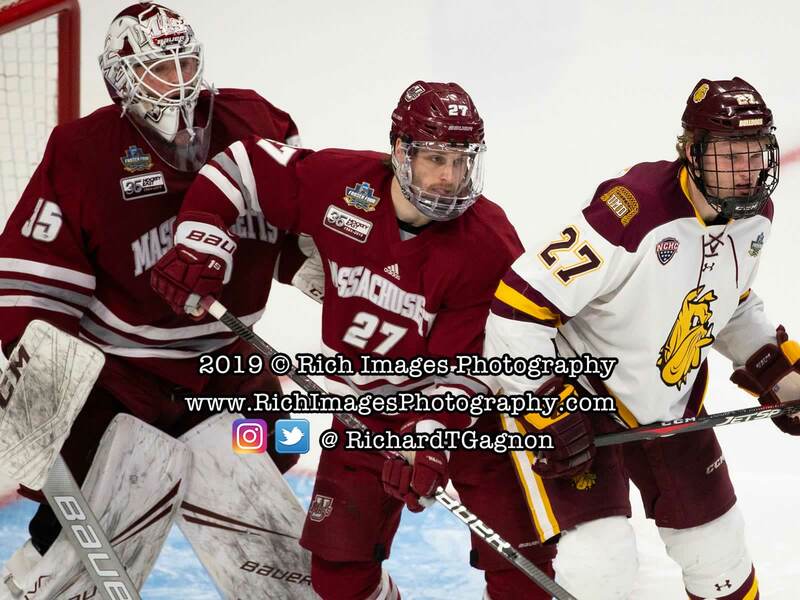 The Bulldogs finish with a record of 29-11-2 and their second-straight national title. 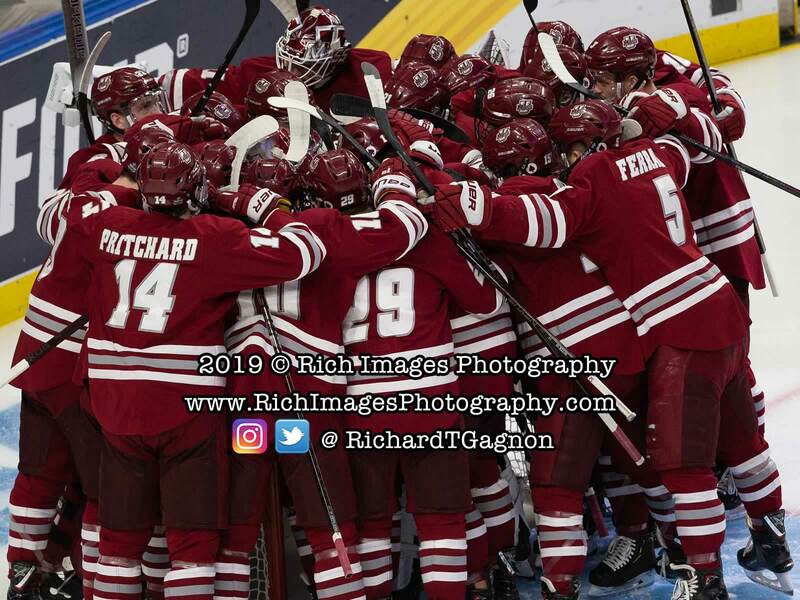 This season also saw UMass reach the NCAA Tournament for the first time since 2007, make the first Frozen Four appearance in program history and earn its the first-ever Hockey East Regular Season Championship. 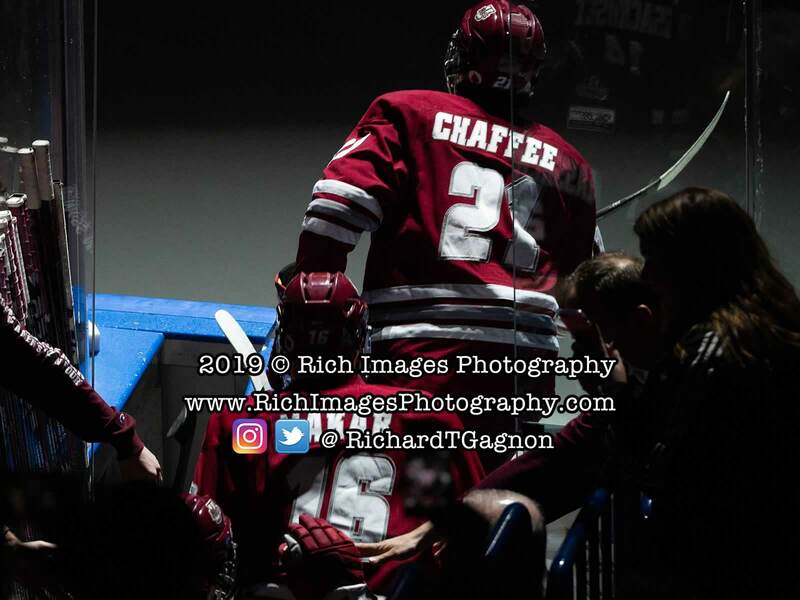 A host of Minutemen also earned individual accolades with Cale Makar winning the first Hobey Baker Memorial Award in UMass history, Greg Carvel receiving the Spencer Penrose Award as national coach of the year and Mitchell Chaffee and Makar being named First Team All-Americans. "Excellent hockey team. 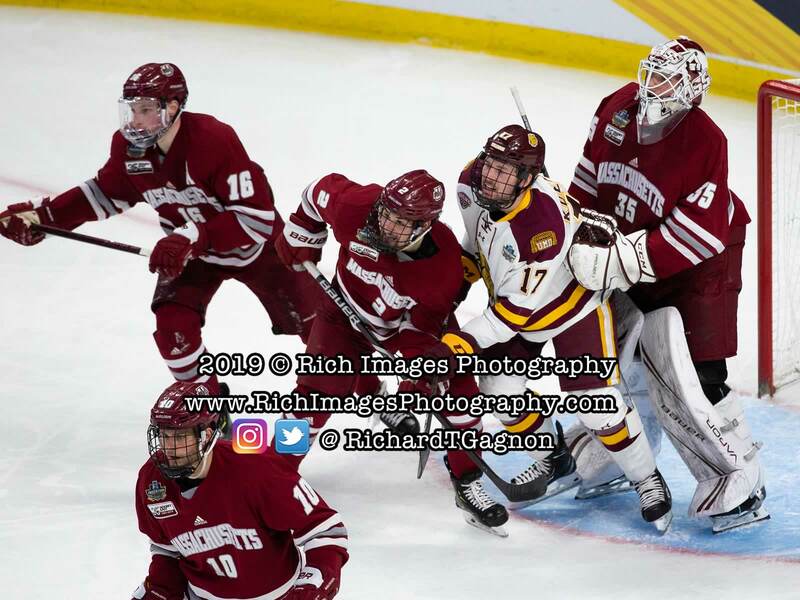 Not surprising they've been in the championship game for three years in a row," said Carvel of Minnesota Duluth. "Extremely well-coached team. 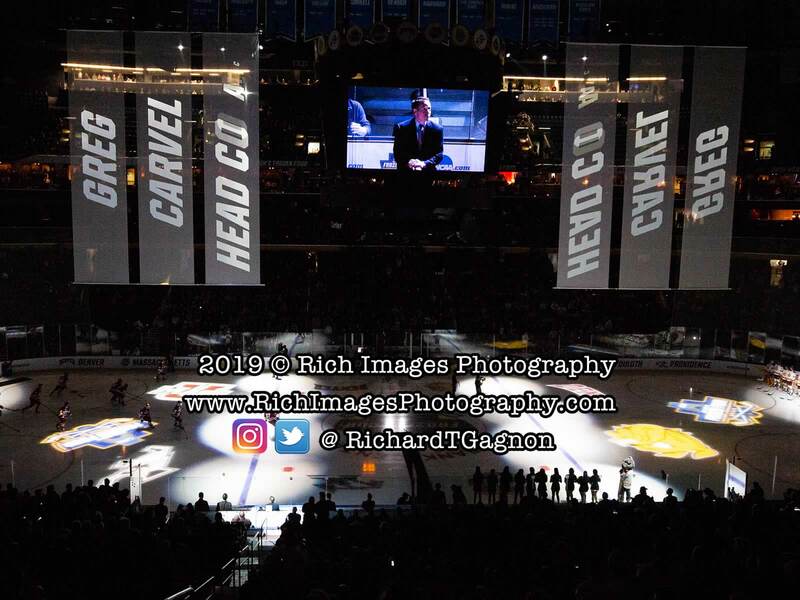 Seemed like tonight they were a more mature team. For whatever reason our compete level wasn't at the level it usually is. 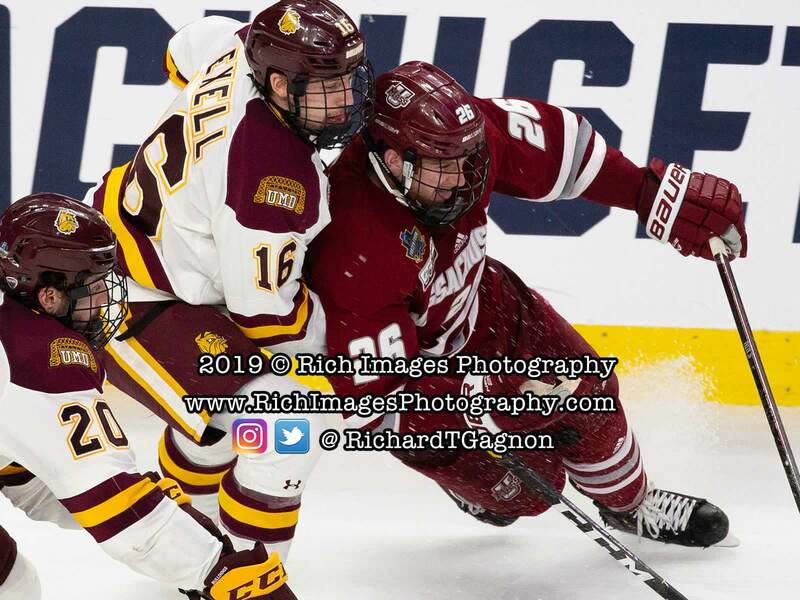 I don't know how much of that was Duluth, how much of it was us playing late on Thursday night, not being able to recover as well as we hoped to. We just didn't really get stretches of momentum. I thought actually our fourth line was our best line tonight, created the most offense for us. They're a very good team. I think we looked like a young team tonight. It's a learning lesson. 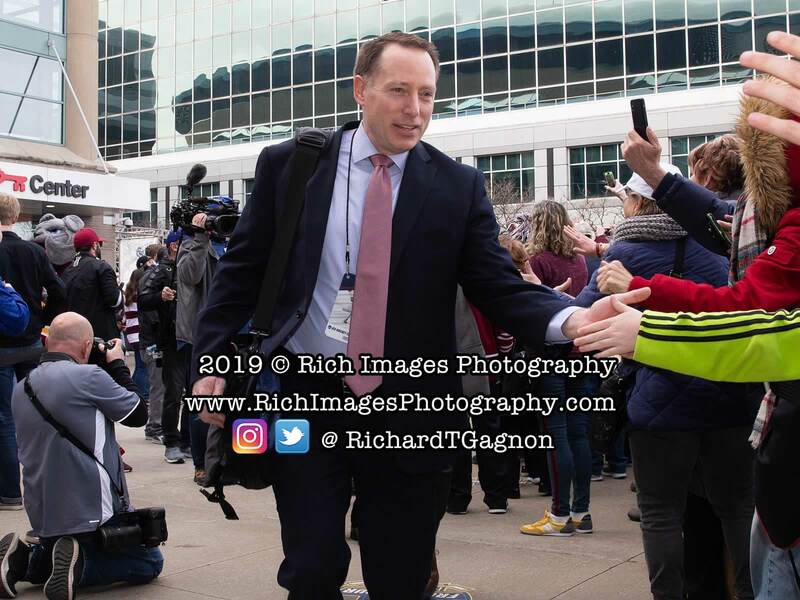 I think our team will take a step forward, having played that team." 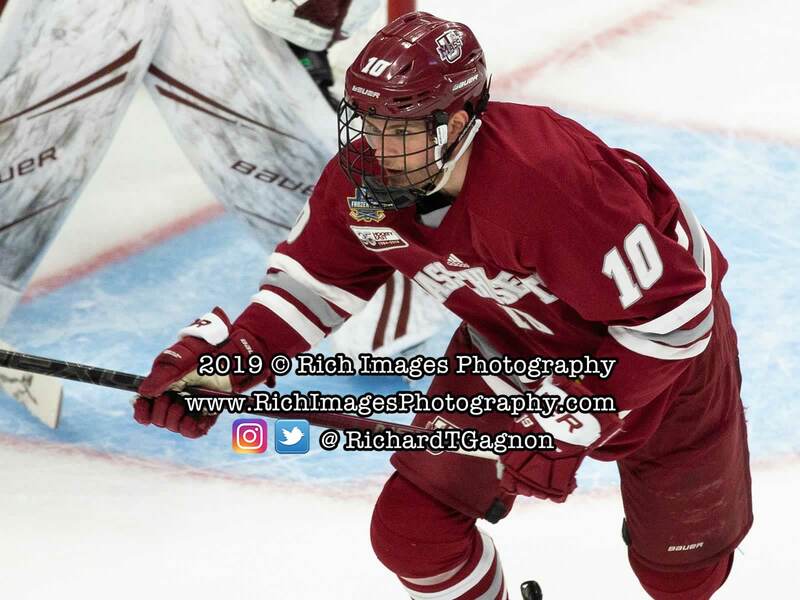 An interference call on Marc Del Gaizo gave the Bulldogs an early man-advantage, setting the stage for the opening tally. 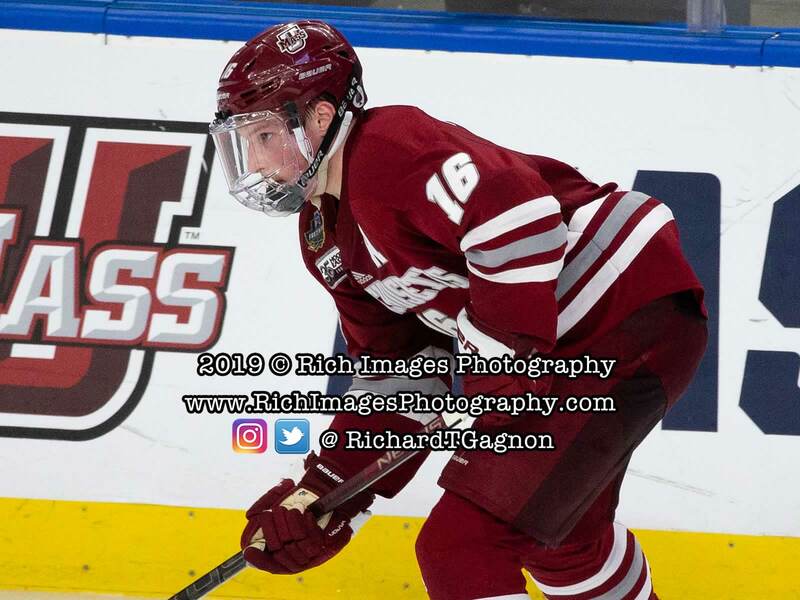 Parker Mackay netted his team-leading 16th goal of the season at the 3:51 mark of the first to give the Bulldogs a 1-0 lead. 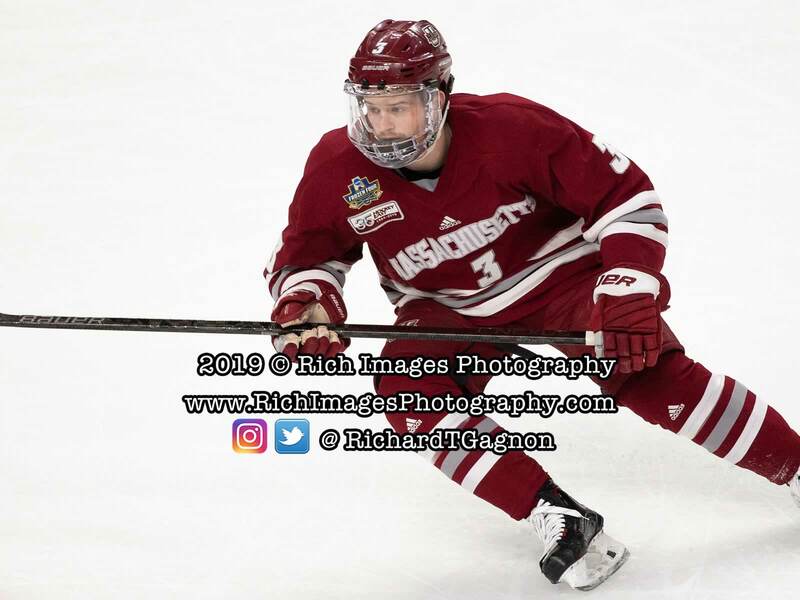 The play was initiated by a pass from junior winger Riley Tufte from the right faceoff dot to sophomore Mikey Anderson at the point who found Mackay streaking in the slot. 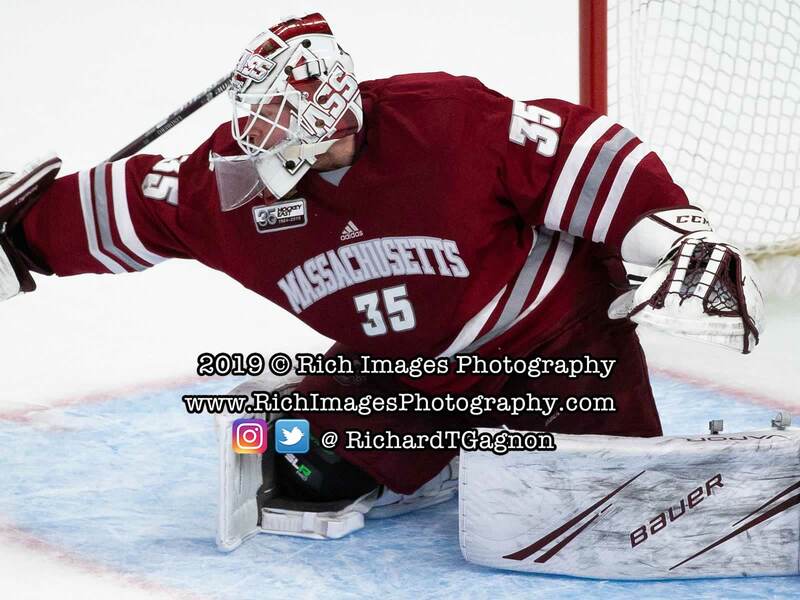 With a deke to the backhand, his shot found its way past the glove of Filip Lindberg. 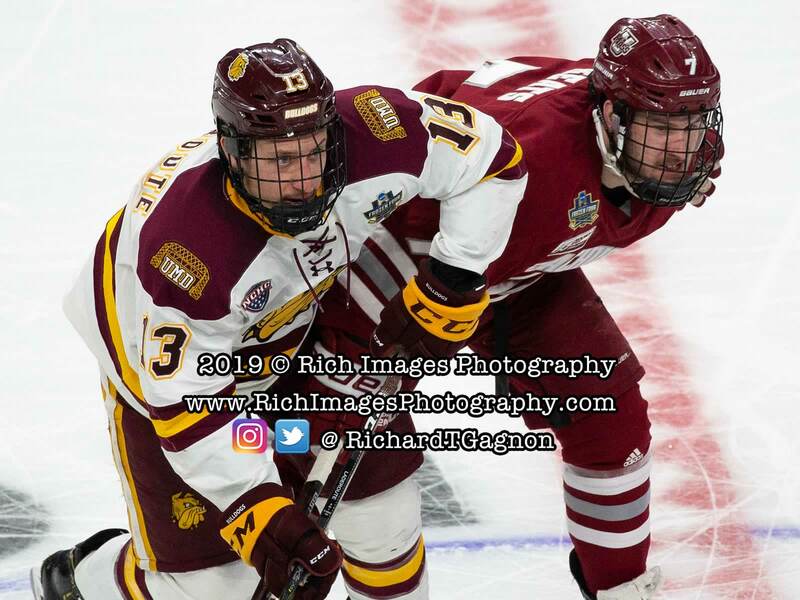 Minnesota Duluth kept applying pressure throughout the first and into the second period. 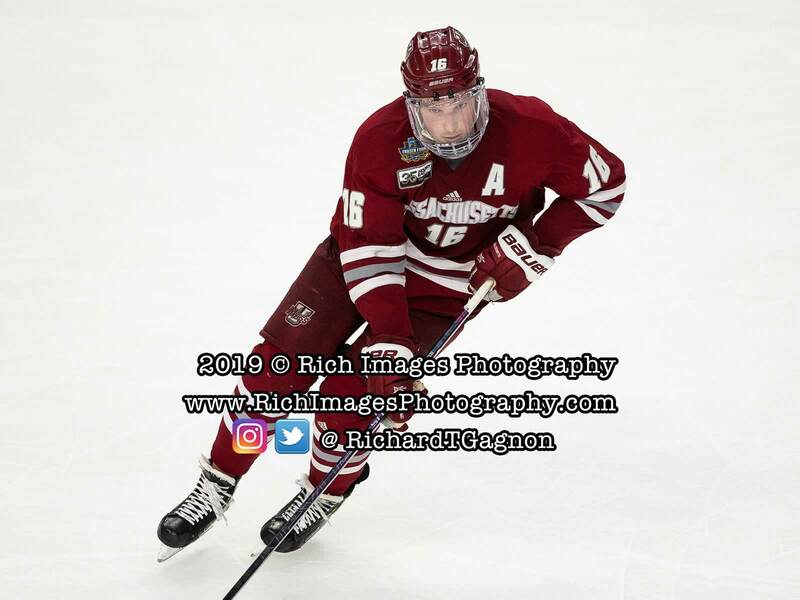 With 4:12 remaining in the middle frame a wrist shot off the stick of Mikey Anderson from the slot doubled the Bulldogs lead. 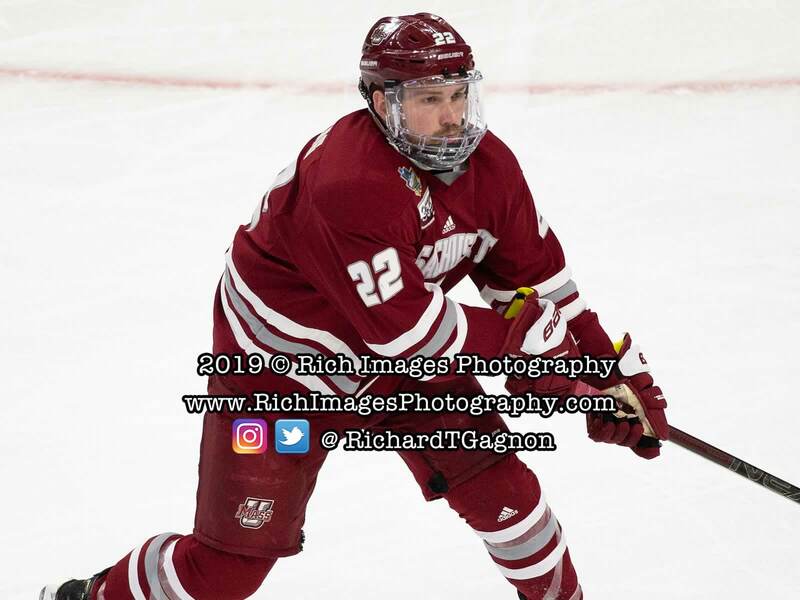 Mackay picked up his second point of the night, dishing a pass from the corner to Anderson, while sophomore Justin Richards logged the secondary assist. 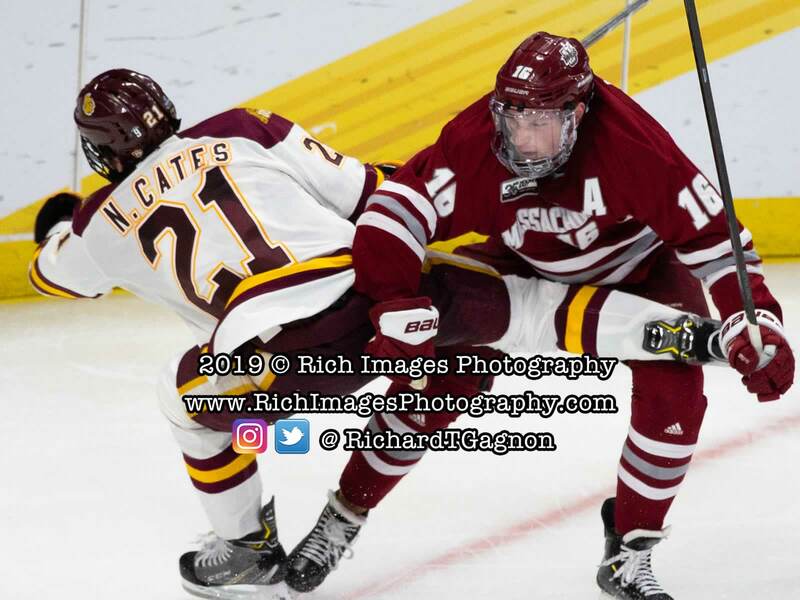 Freshman Jackson Cates then provided the third and final tally for the Bulldogs at 17:18 of the third period with the assists going to classmates Tanner Laderoute and Anderson, who had a three-point night. 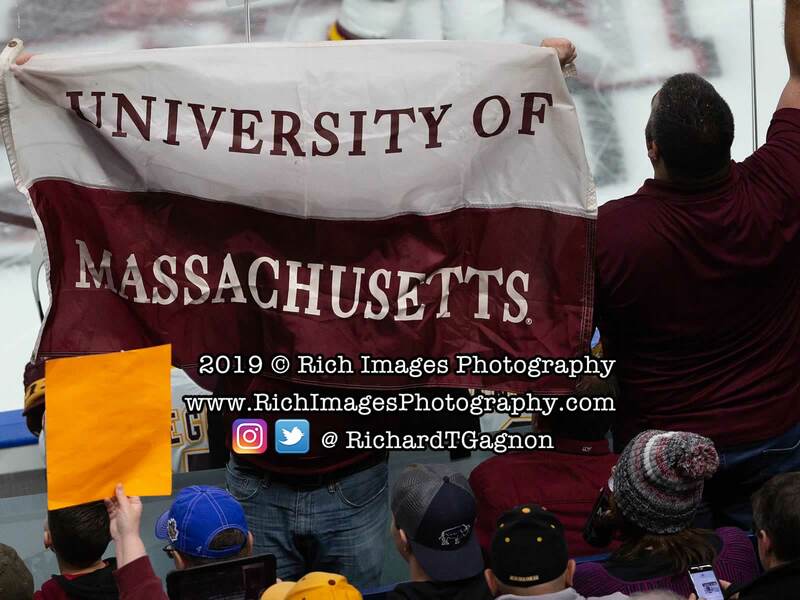 Minnesota Duluth finished with a 31-18 advantage in shots and went 1-for-4 on the power play, while the Minutemen were 0-for-4. 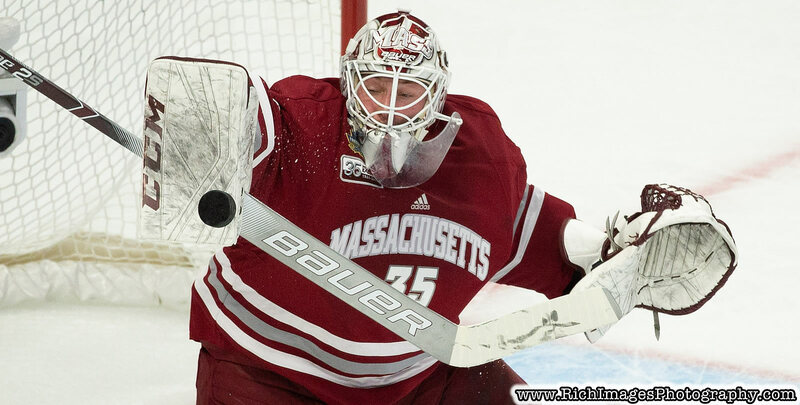 Lindberg stopped 28 shots for UMass and Bulldog netminder Hunter Shepard earned the 18-save shutout.